All photos courtesy of Leica. The latest camera from the classic German brand Leica is less techie and a lot more fun. My dad gave me my first camera when I was eight-ish. I can barely remember what type it was, much less which model. But I do remember loading up my first rolls of film, obsessing over matching the perforations of the 35mm roll with the little spokes of the camera wheel. I also remember sobbing my heart out when I dropped the camera, popping open the back cover and exposing my roll of newly shot film. I lived, learned, and bought a Leica. The German brand has a rich history and link to street photographers — a brand perfect for hobbyists like myself who like using a lens for less filtered, more spontaneous playing around. 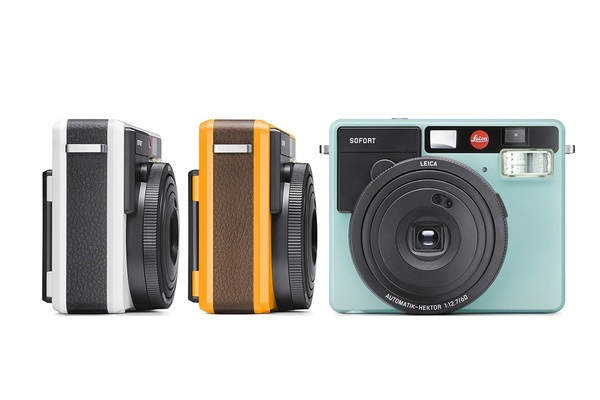 That's why I was thrilled when I heard about Leica Sofort, an instant film camera with personality. It's a welcome addition to the already fantastic Leica lineup. Pick from white, orange, or mint. Outtakes from a test run. Photo by Becky Cheang. Instant film cameras I've had in the past were fun but never had nearly enough options for play. Besides the Sofort's fun presets (automatic, party and people, sports and action, macro), the camera also offers multiple exposure and time options. Manual control overrides for focus distance, flash, and image brightness. The self-portrait and self-timer modes are nice touches for the selfie generation. I still hate the selfie stick, but this I might be able to get with. The Sofort is incredibly light, and its square shape makes for easy packing. The camera comes in white, orange, and (my favorite) mint, with matching straps and stylish black or brown cases. 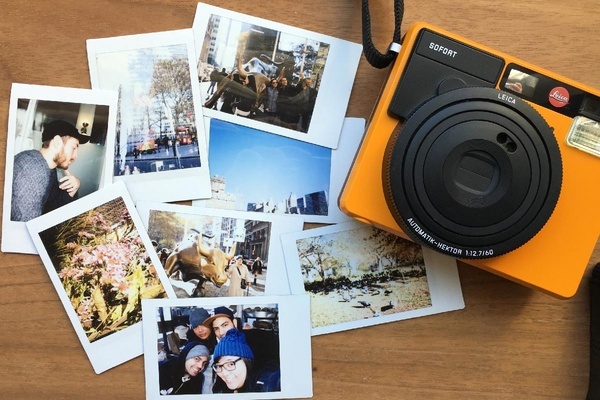 The camera works with the regular Fujifilm Instax Mini film, but Leica also released two packs of its own, one for black-and-white shots, another in color with cream frames for a nostalgic touch. The instant film pack comes with just ten shots, which means I'll have to sharpen my editing skills. For those who like to get a little geeky: Additional specs include a 60mm f/12.7 lens, shutter speeds from 1/8 to 1/400, and a 0.37x optical viewfinder. I can already hear the naysayers shouting, "but with an instant cam, you won't be able to take all those holiday photos!" To which I say, good. For once I won't be stuck behind a camera lens. Available at all Leica stores and online at amazon.com for $299.